Today’s blog post is an excerpt from my book Ghosts and Murders of Manhattan from Arcadia Publishing, to be released the week of July 29, 2013. 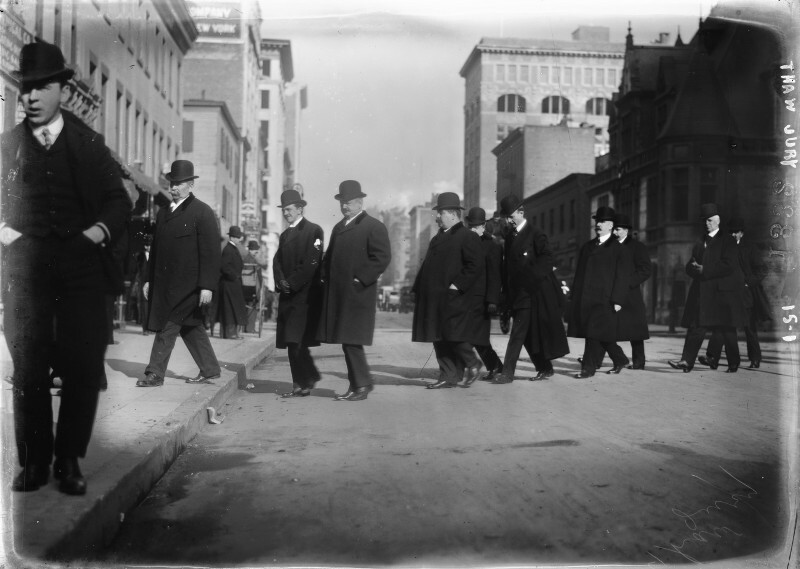 Madness and murder visited Madison Square Garden on June 25, 1906. A syndicate of wealthy men built this the second Garden in 1890 at 26th Street, overlooking Madison Square Park. The architect, Stanford White, incorporated Moorish characteristics in the Beaux Arts structure. White occupied a studio in the tower for his work, and he would die in the rooftop restaurant. 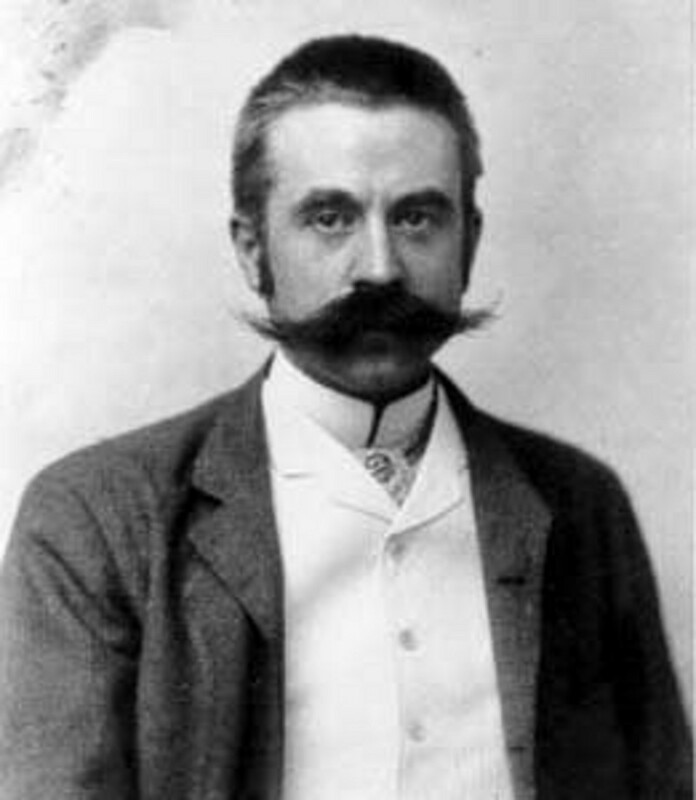 Stanford White, born in New York in 1853, studied architecture in Europe. Using elements of Italian Renaissance, he composed a new style called Free Classical. 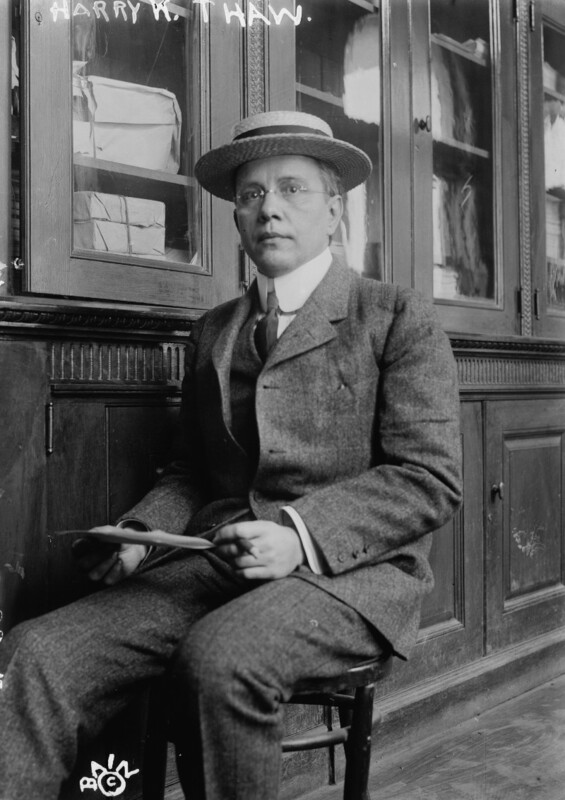 Designing banks, the Boston Public Library, the Washington Square Arch, and private residences made him rich in the 1890s. Although married, he grew interested in the 16-year-old model and showgirl, Evelyn Nesbit. At age 47 he convinced Nesbit’s mother he wanted only to be a benefactor. 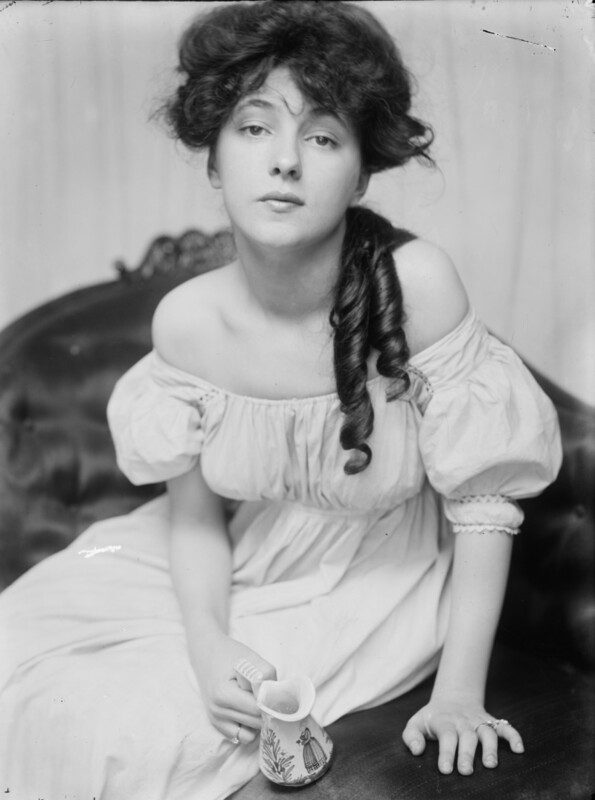 Evelyn Nesbit’s beauty and talent attracted White. An artist first discovered her at the age of 14 and turned her into the most recognizable fashion model of the period. Growing up poor and fatherless, she must have been dazzled by White’s wealth. When her mother went out of town, White plied her with alcohol and took her virginity. Nesbit also gained the attention of millionaire Harry K. Thaw who had a history of mental illness. When she appeared in a show called “The Wild Rose”, Thaw attended 40 performances and begged to marry her. Knowing he valued chastity, she divulged her experiences with White. The revelation unhinged him. He imprisoned, beat, and raped her. Despite her ordeal, Nesbit married Thaw, knowing that her reputation was ruined because of White. 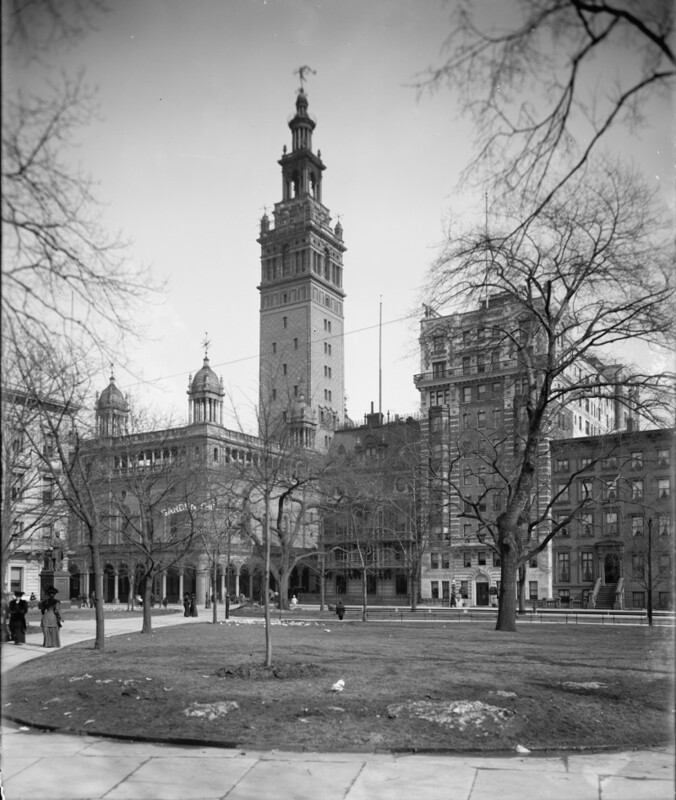 On June 25, 1906 Harry K. Thaw booked tickets to a revue at Madison Square Garden’s rooftop restaurant. At the last minute, Stanford White changed his plans and took his regular seat to watch the show. At 11:00 p.m., Thaw approached White from behind and fired three times, killing White instantly. 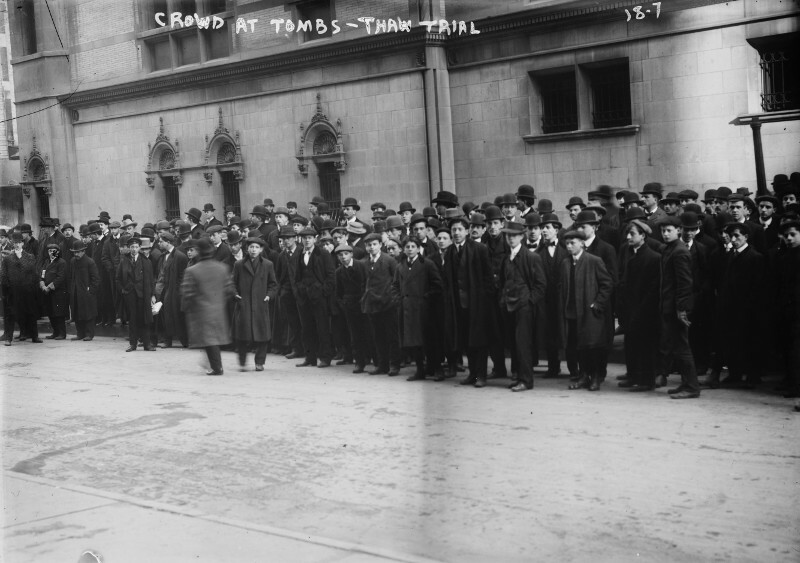 Raising the gun high in triumph, Thaw allowed himself to be carried to the Tombs prison where crowds would gather. Newspapers dubbed his case the “Trial of the Century”, and it would end in a hung jury. His second jury found him guilty by reason of insanity. He never regretted the killing, convincing himself he had avenged his wife’s honor. Although sentenced to life at the Matteawan State Hospital for the criminally insane, Thaw was declared sane on July 16, 1915. The following December, Thaw met 18-year-old Frederick Gump in Kansas City and earned the trust of Gump’s family, convincing them he would pay for their son’s education. 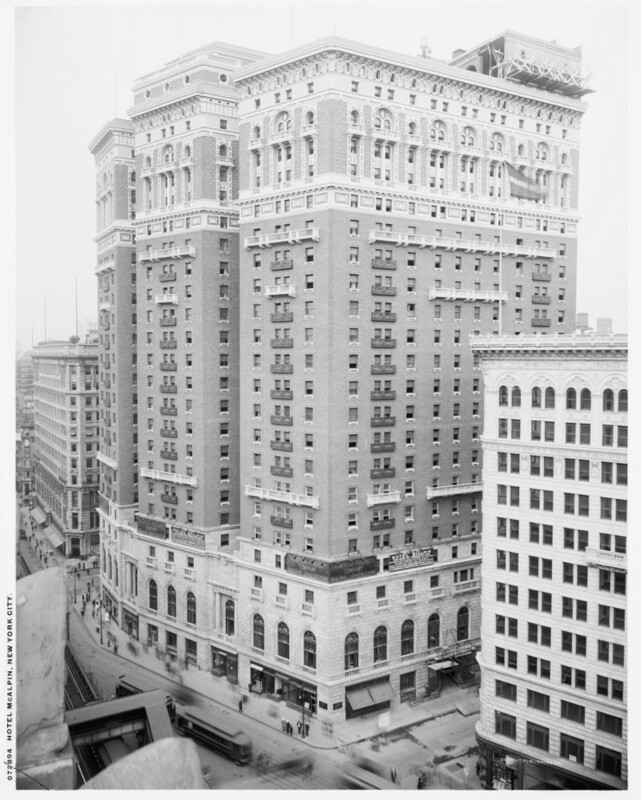 Gump arrived in New York City on Christmas Eve, 1916, and Thaw directed him to the Hotel McAlpin. Early Christmas morning, Thaw entered Gump’s bedroom and attacked the boy, whipping him into a bloody mess. Thaw stepped out, leaving his bodyguard in charge, but Gump escaped. 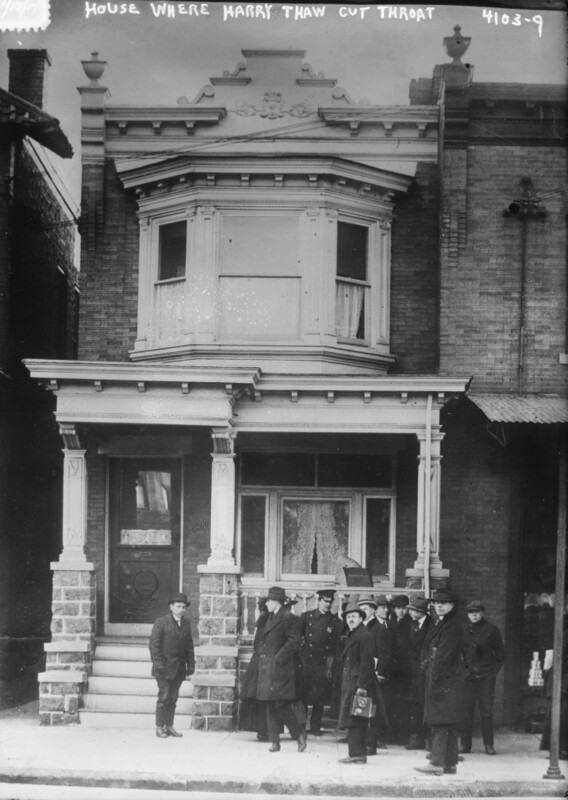 Thaw went into hiding at this boarding house in Philadelphia. On January 11th he attempted suicide by slashing his throat and was sent to Kirkbride Asylum in Philadelphia until 1924. Thaw died in 1947 at age 76. This entry was posted in Murders and tagged Evelyn Nesbit, history, Murder, New York City History, Stanford White by elisegainer. Bookmark the permalink. This is some sick s*%t!